Garden City, New York, USA. March 9, 2019. 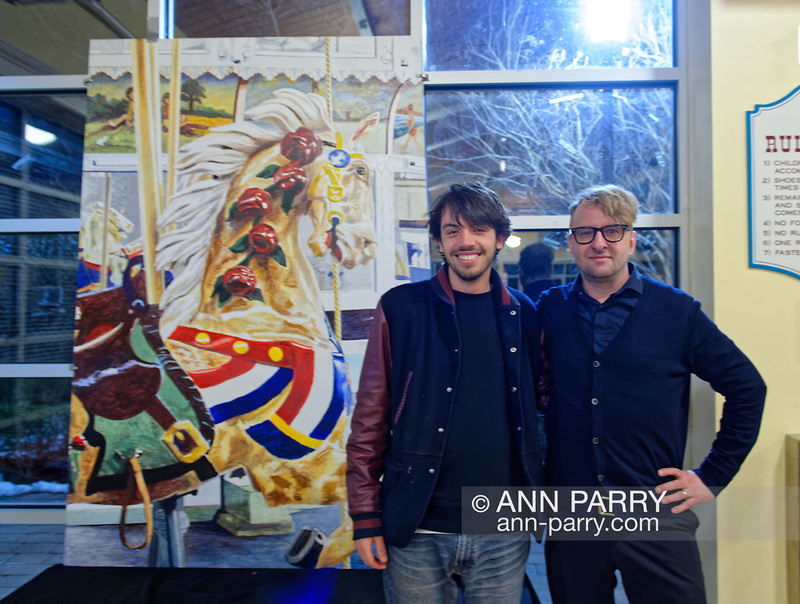 R-L, Artists MICHAEL WHITE and LIAM MCGUIRE, of Baldwin, who said White is his mentor and friend, are posing next to White's mural of closeup of Nunley's Carousel lead horse. The Unveiling Ceremony of mural was held at historic Nunley's Carousel in its Pavilion on Museum Row on Long Island.